We bought an amazing world globe collection that included lots of vintage barware. 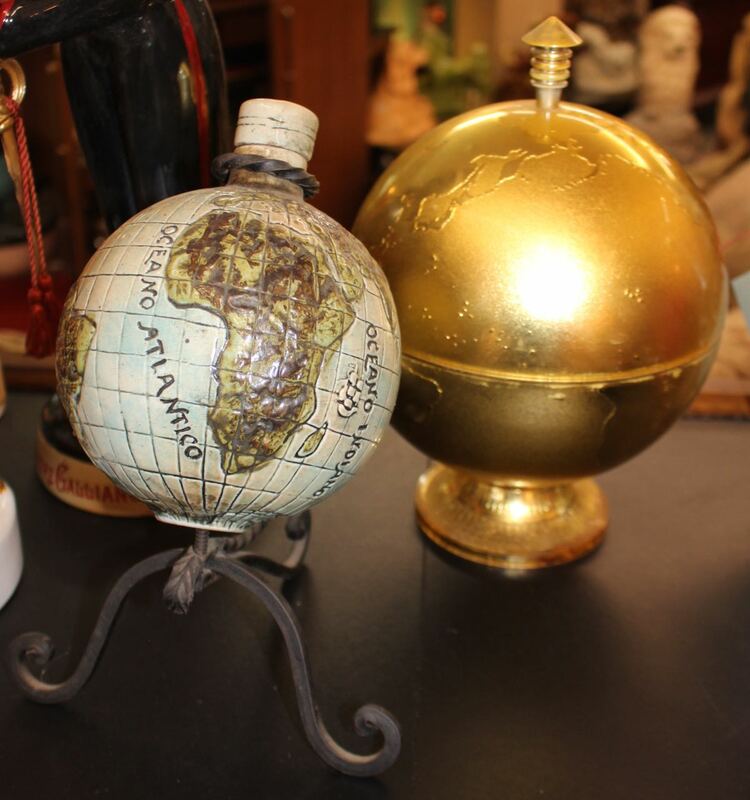 The gold globe is an ice bucket and the ceramic globe is a decanter. Perfect gifts for your favorite world traveler or bartender!